Ladakh had stolen my heart the last time and left me with a feeling of incompleteness as I could not see it all. Placid landscapes, hidden ruins and the chain of Buddhist Monasteries – there were plenty of quests that awaited me. As fate had it, I returned this year to find my lost heart. Naropa Festival was the perfect excuse and Hemis Monastery was the perfect place to start. The moment I received an invite to attend the Naropa Festival, I knew it was a sign. Even before I had accepted the invite, I had mentally planned to visit the place where the festival actually started – Hemis Monastery. I remembered wanting to see it as I passed it enroute to Pangong Lake. It seemed like a safe haven, hidden from the world – away from all worries. With this visit, I realize how close my imagination was to the reality. 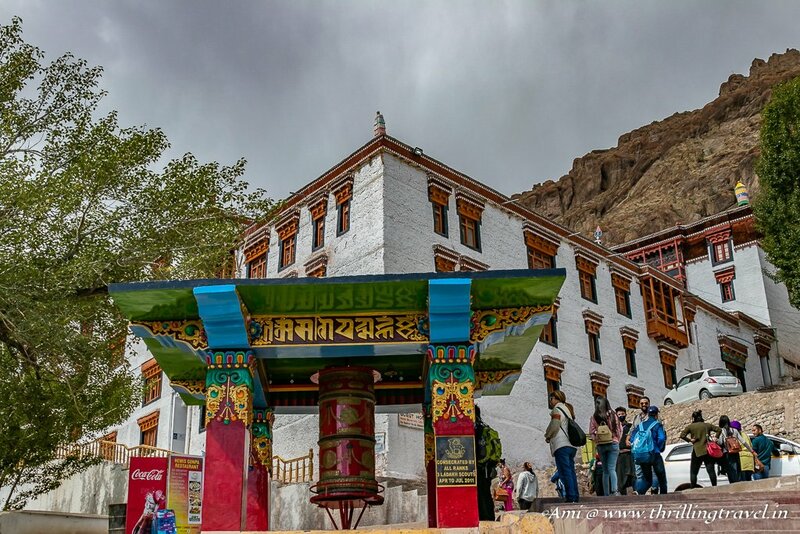 Rich – not just in a worldly manner, but with its heritage and knowledge, Hemis Monastery is definitely one of the important places to visit in Ladakh. Also read – My journey from Leh to Pangong Lake and Tso Moriri. The exact date of when the Hemis Monastery was built is quite unclear. 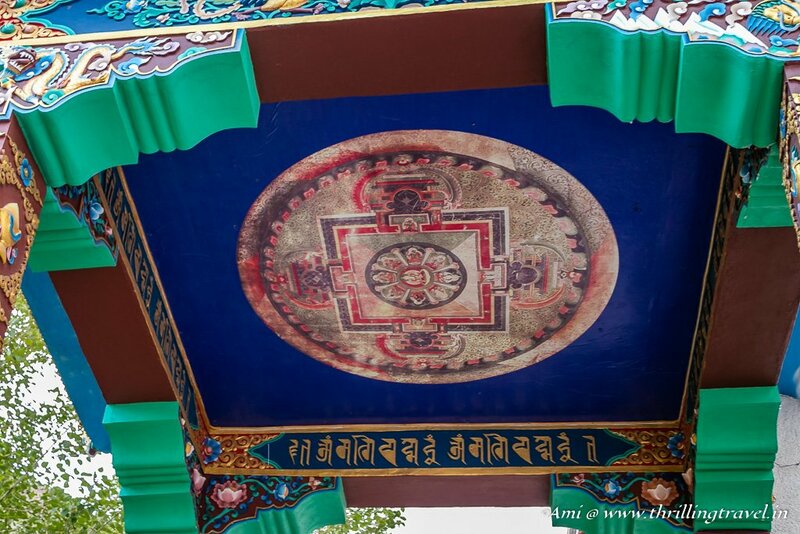 However, the one thing that is certain is that this Monastery existed in the 11th century when Naropa – the great Buddhist monk arrived in Ladakh. It is one of the reasons why his life is celebrated as the Naropa Festival here. 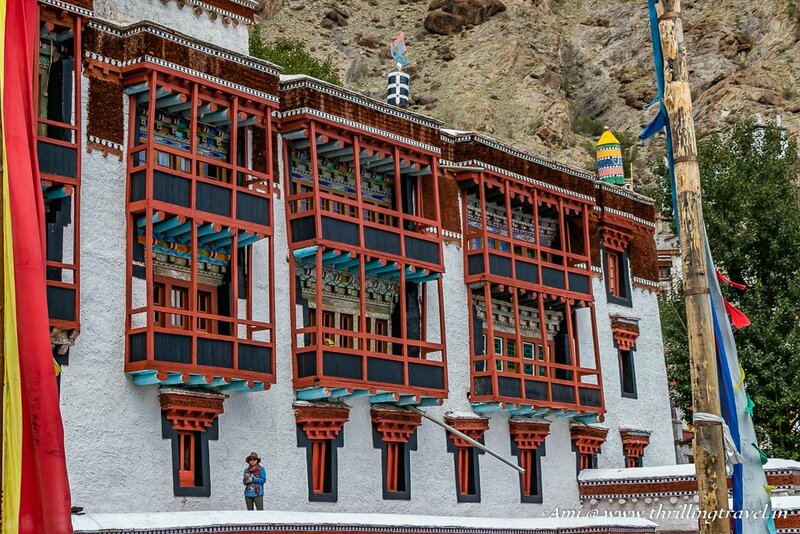 Hidden in a Valley that resembles the letter “He”, the monastery got its name – Hemis. What is interesting about its history is that this is possibly the only monastery that was not attacked. Every other monastery in Ladakh – including the oldest one – Lamayuru monastery had been plundered. Possibly the location that naturally hid the Hemis Monastery was the reason why this place escaped the plunderers. 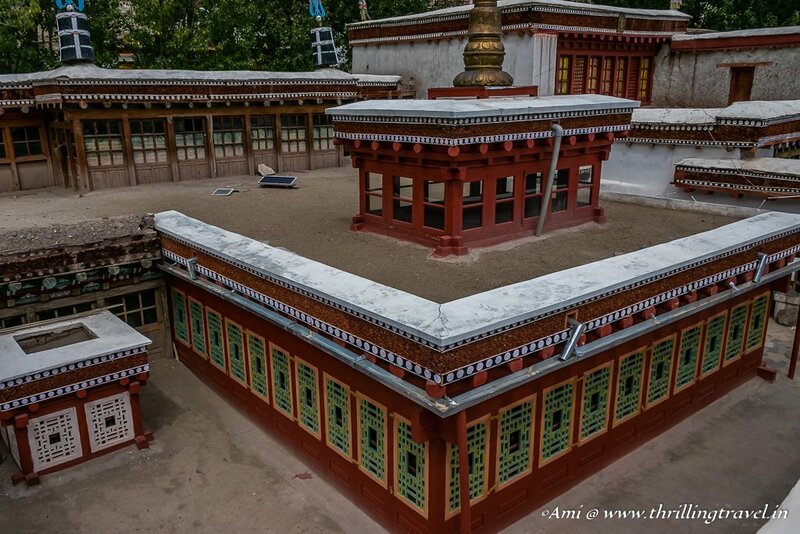 In the 1630s, the monastery grew under Staksang Raspa and the patronage of the then King – Senge Namgyal. A strong base for the famous Drukpa lineage of Buddhism, today the Hemis Monastery is the richest monastery in this region. A wall of stupas interspersed with the sacred Mani stones lined the road that led to the Hemis Monastery. From far, high up in the mountains, Hemis Gompa (as called locally) reminded me of the Paro Taktsang Monastery in Bhutan. The same colors, the same style. I suppose it must be owing to the same Drukpa style that is followed in Bhutan. As I got off the bus at the main monastery, I glanced around to catch a few curious sites. Like one of a Buddha surrounded by prayer flags, high up opposite the monastery. And a few other scattered structures – well above the main monastery. They seemed out of bounds from where I stood and knowing the reality of limited time, I knew then that I would have to come back to figure what those were. A short flight of stairs led me under pretty ceilings to an even prettier door. The Bhutanese similarity hit me strongly as I stepped in through that door. It felt like I was in one of the Dzongs except that this one was older than any of the Bhutan buildings. 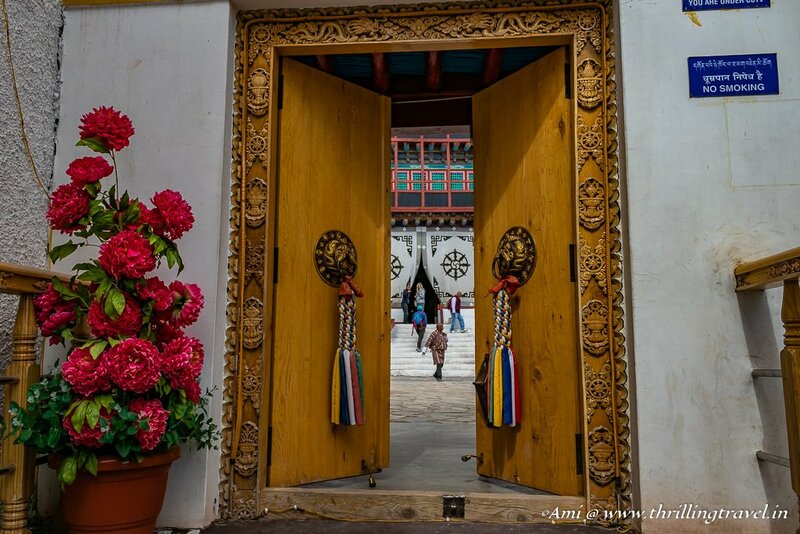 A large courtyard bordered by wooden structures and prayer wheels stood right before me. 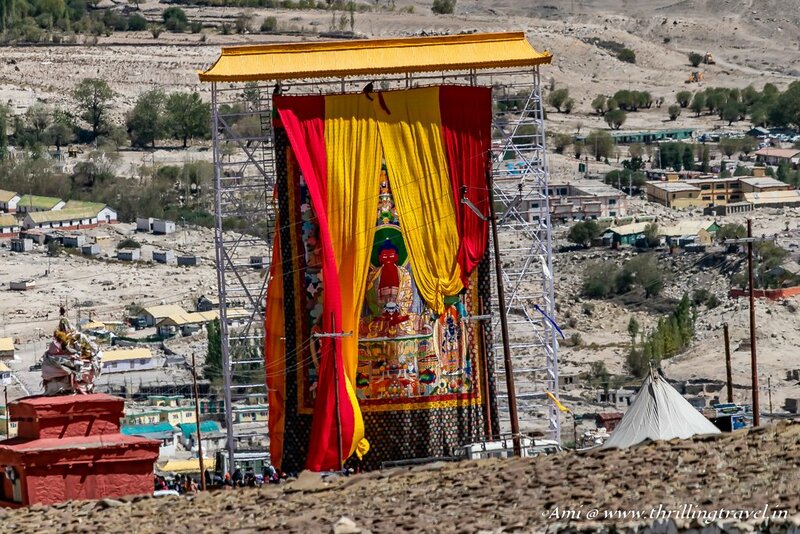 This as I understand, is the venue for the famous Hemis Festival that takes place every June. This is the same festival where you can see the masked Dragon dances of Ladakh called Cham. Three tall flags stood in the center of the courtyard. Each one I believe, is changed every year during the Hemis festival. 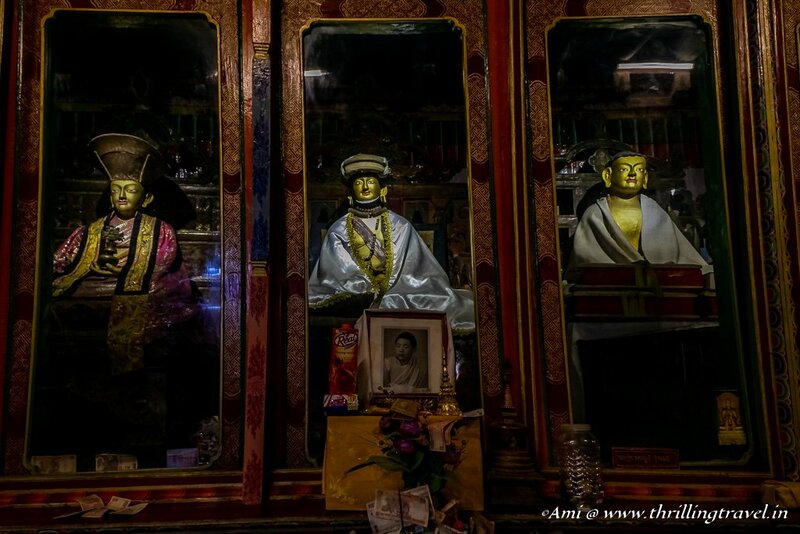 The tallest one represents the key founder of Hemis Monastery – Staktsang Raspa while the other two represent the head of Hemis Gompa and the King of Stok Palace. 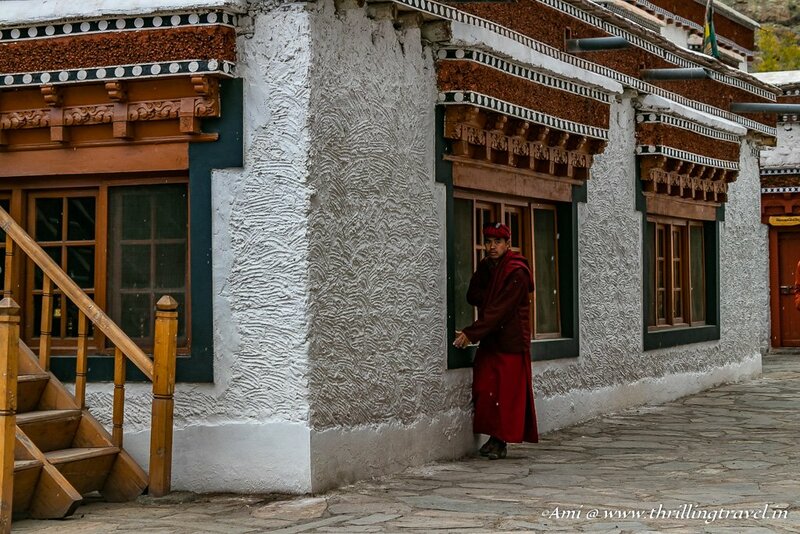 As I looked around, I saw the famous Hemis Museum to my left and an open doorway that led to the Monks quarters on the other side. Right in front of me, were some important looking temples. The dilemma of where to start was solved as I looked at the Hemis Monastery tickets. A small map explained what was where and I decided to start with what was labeled “1” – the Main Assembly Hall. 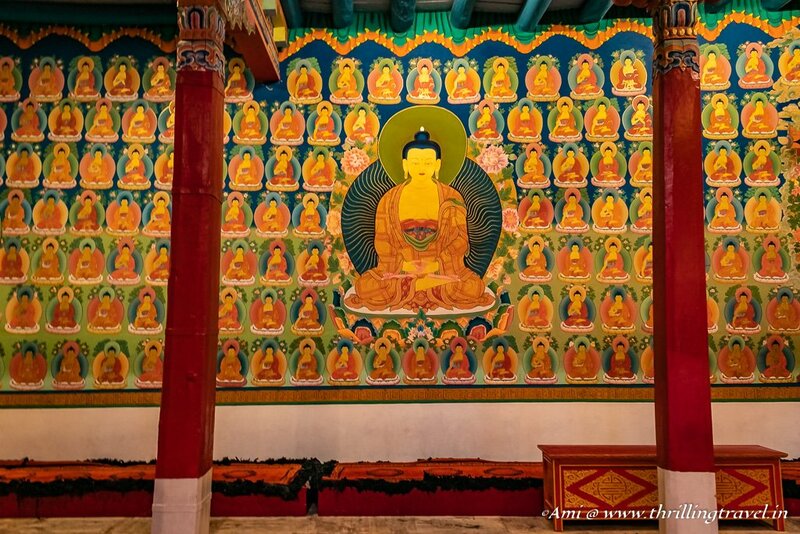 Colorful Murals lit up an otherwise dark Meditation Hall or what is referred to as the Main Assembly Hall of Hemis Monastery. In the local parlance, this hall is called Dukhang Chenmo. 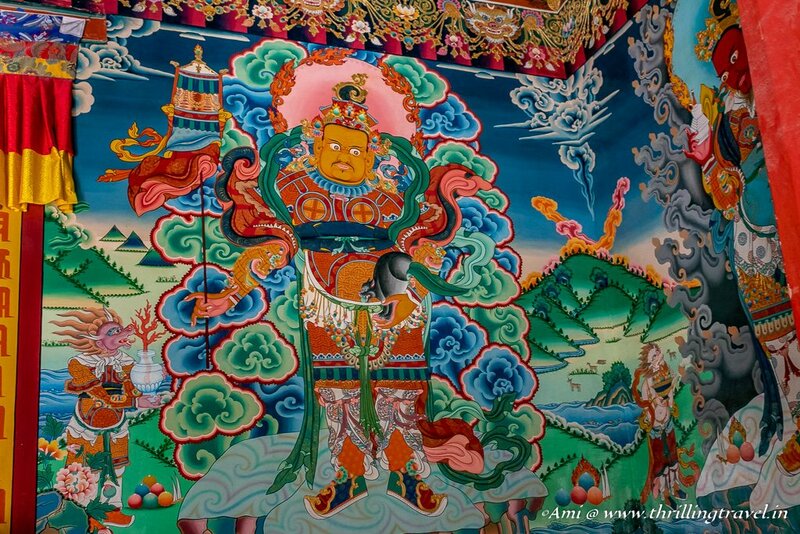 The main idol that occupies the hall is quite a scary one – a fierce protector called Gyalpo. The idol represents the highest and the most powerful form of Buddhism – the tantric Buddhism. 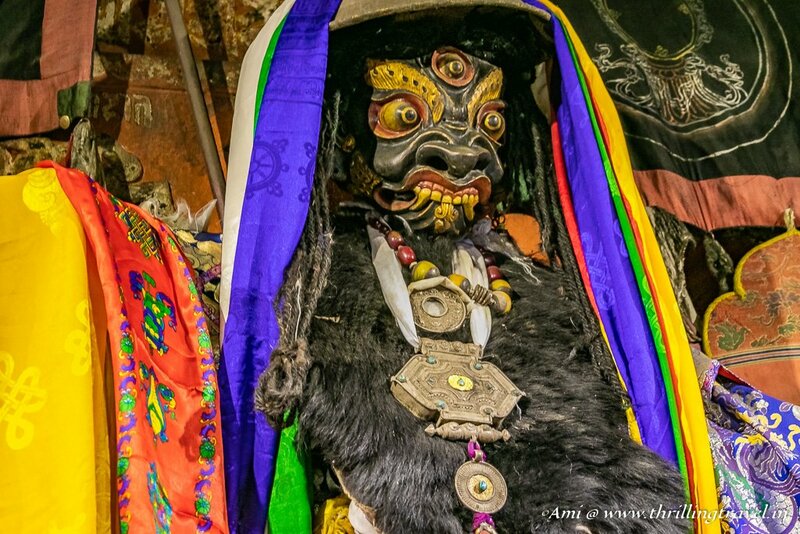 This particular one is said to have the spirit of the protector that looks over the entire Hemis Monastery. Buddhism believes that offerings of any kind – even water is welcome at the various altars. From cash to a bottle of Bacardi lay at the feet of the protector. These were also, found near the statues of the prominent monks of Hemis at the far end of the same hall. Decorated seats for the main monks towered over the regular wooden prayer benches. And though there was no session in progress, you could well feel and envision the harmonious atmosphere of a prayer time. Following the same map on the Hemis Monastery tickets, I went to the 2nd assembly hall called the Dukhang Barpa. Unlike the fierce tantric protector idol, the central one here was a peaceful golden Buddha. This Buddha replaced the original Golden Buddha that is now placed outside opposite to the main monastery. This, in fact, was the same Buddha that I had spotted before I entered the main monastery – the one that I knew that I could not visit this time. This hall was a newer one as one can gauge from the brightly painted walls. My guess is that some of these walls were block printed – for it does seem impossible to have achieved such amazing symmetry with just hand painting. The next spot on the ticket map was closed and so, I proceeded to the famous Hemis Monastery Museum. Its reputation of being one of the best museums preceded my visit and boy, I sure was not disappointed. In fact, I believe that this museum is one of the key reasons why Hemis Monastery needs to be a part of every Ladakh tour. Photography is not permitted within the museum and hence, you are back to relying on my descriptions. The museum showcased the various treasures of Hemis Monastery. From the official historical scrolls that outlined the various donations and codes of conduct to precious idols and traditional weapons – there is plenty to admire at the Hemis museum. The best part about the exhibits is that it is very well explained. The information given here, filled in the many gaps in my knowledge of the Buddhist heritage. It told me exactly how it evolved, who were the main people, who were those mythical creatures that I had met at not just Ladakh but the Bhutan, Thailand and Nepal monasteries. It also, explained the various rituals that each of these sects followed. I can definitely say this now – “I was enlightened at the Hemis Museum”. Truth be told – I was dying to see what lay above the 1st Assembly hall. I had already spotted a sign saying 2nd floor – Guru Padmasambhava. However, the FOMO the widespread Hemis Monastery had me adhere to the map given. Naturally, as soon as it was time to sprint up, I did! A small staircase took me a room with a 2 -storey high statue of Guru Rinpoche – also, referred to as Guru Padmasambhava. I had mentioned him in all the temples of Bhutan. 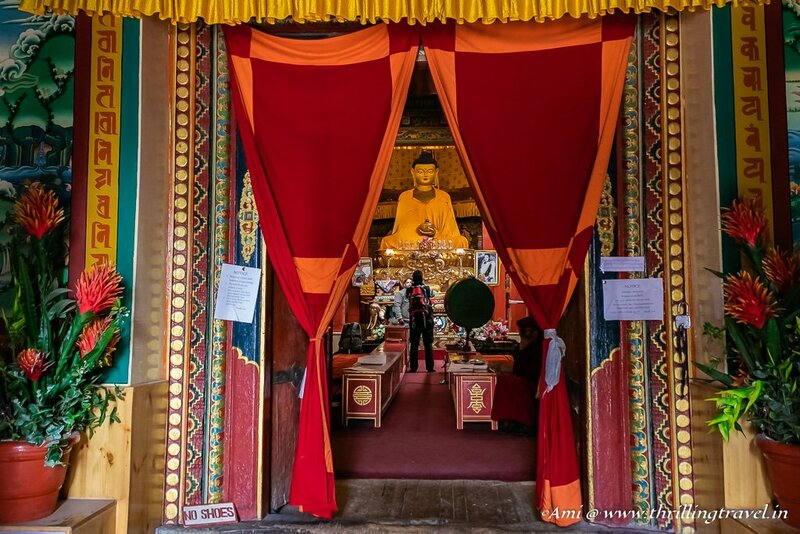 However, I was not able to share any pictures as photography within the Bhutanese temples was prohibited. 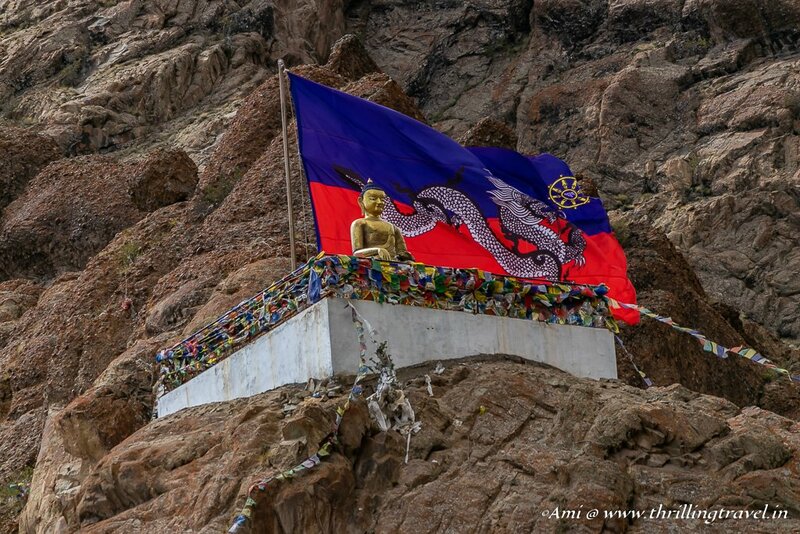 Ladakh – was a different case! With a Vajra in one hand and the other in his lap, the Guru sat on a platform hoisted by strong men. Monks sat around and chanted their hymns and as I glanced up at his face, I felt a certain protective aura. One of a man who could be gentle with the gentle and fierce when he needed to! A couple of more temples were mentioned on the tickets and I found myself following the signs to it. However, they seemed to be closed for the day – maybe owing to the Naropa Festival that was going-on a few kilometers away. Despite that, the sights around did not disappoint. It was quite something to see the entire monastery from the roof. The view from there also gave me a chance to marvel the pretty doors and windows of the buildings around. It was fascinating to see how the colorful prayer flags lend a certain vibrancy to the whole atmosphere. Somewhere in that exploration, I even managed to wander towards the monks’ residences. Along the way, discovering two ancient prayer wheels. I could have followed some of those kid monks around but as always, it was time to head back to the Naro Photang. If you are wondering what that is, you got to stay tuned to my blog. Coming up in my next post – all about the Naro Photang and also, this gorgeous 5 – storied embroidered Buddhist Amitabha or Thangka – that was unveiled every single day for 5 days of the Naropa Festival. Leh is the closest airport and city to the Hemis Monastery. There are regular flights from Mumbai and Delhi to Leh. I have outlined more information on how to get to Leh in this Travel Guide to Ladakh. Hemis Monastery is 40 kms from Leh. You will need to hire a private taxi from Leh to get to the monastery. 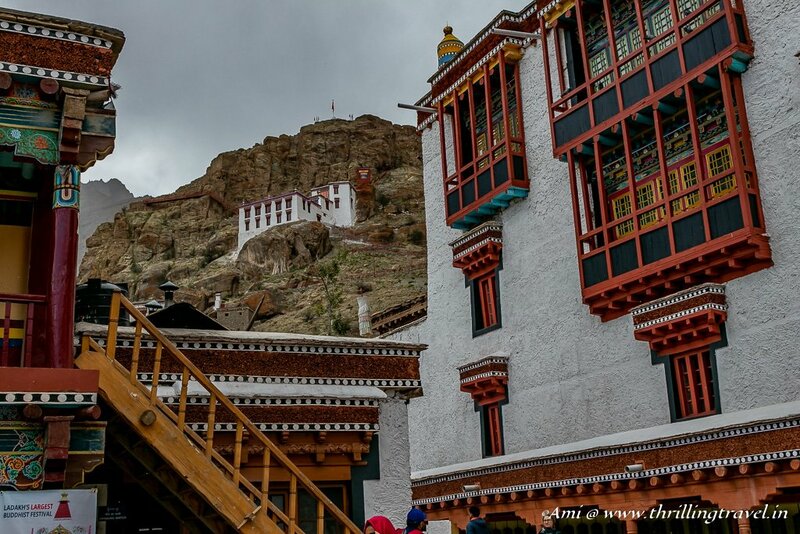 The Hemis Monastery entry fees are INR 50 per adult. 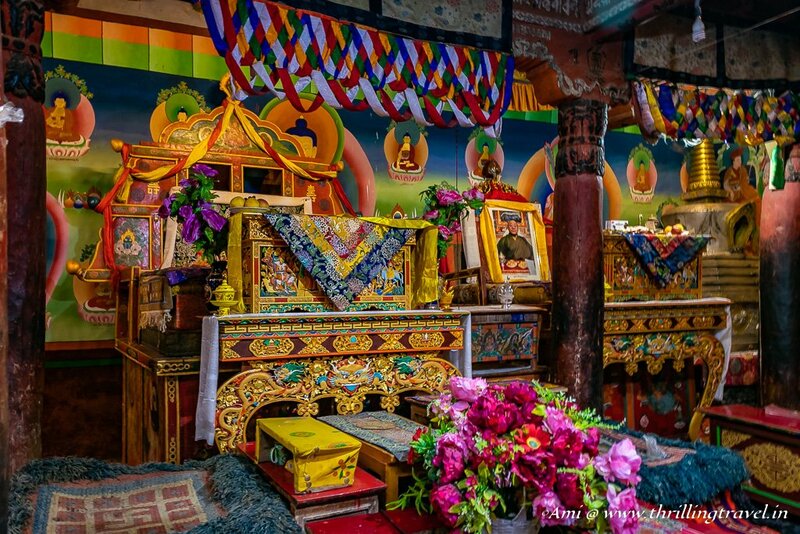 The Hemis Monastery is open between 8 am to 6 pm everyday. It closes between 1 pm and 2 pm for lunch. 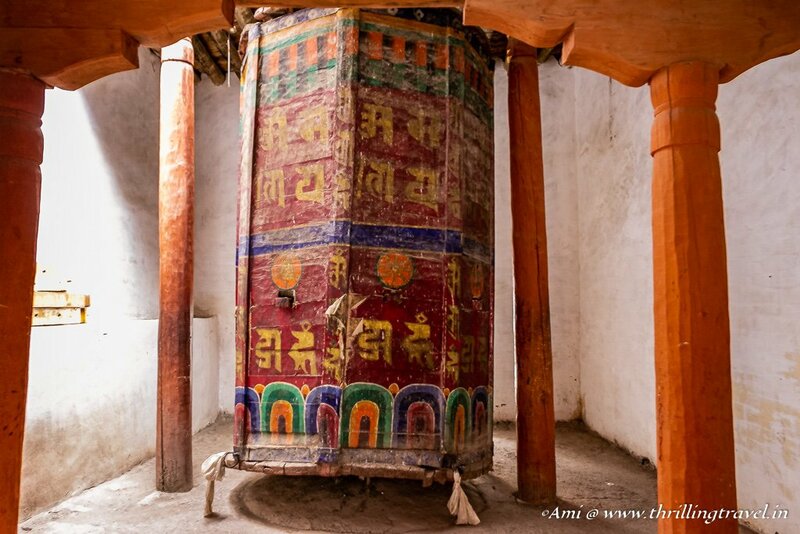 There are lockers provided within the Hemis Monastery to deposit your cameras and mobile phones before you enter the Museum. There are rest rooms and a good cafe near the Monastery for the visitors to use. 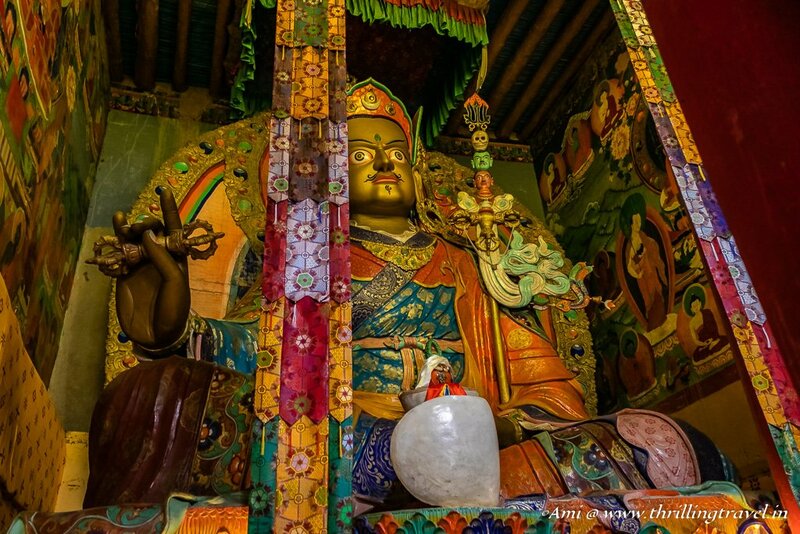 The best time to visit Hemis Monastery is between June to September. 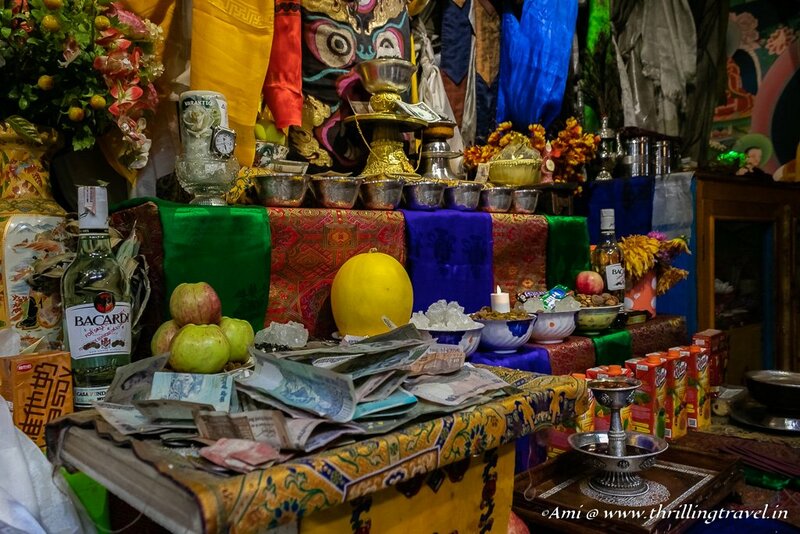 The Hemis Festival takes place in June while the Naropa Festival takes place in September. You might want to mark these months for your visit. 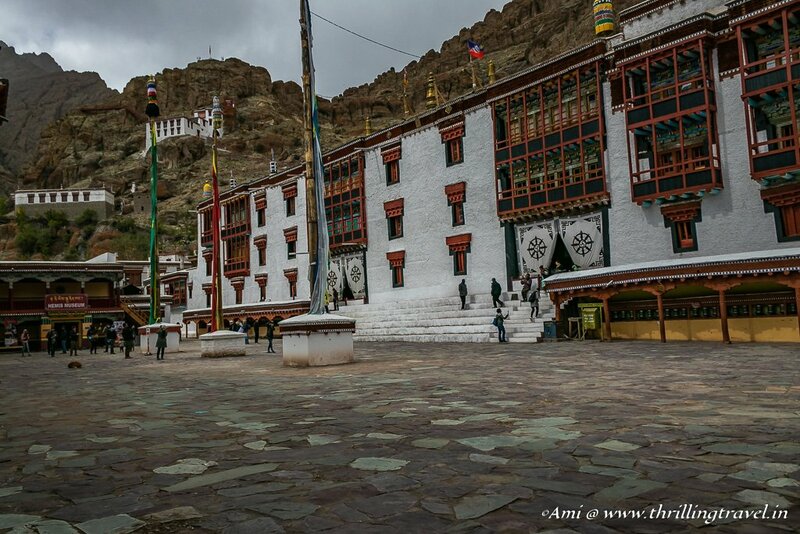 There are very few places to stay near-the Hemis Monastery. 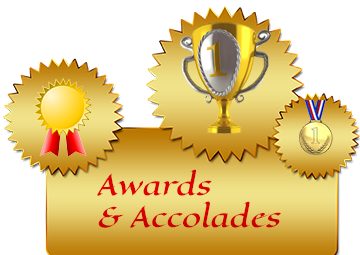 It is better to book yourself in one of the hotels in Leh. 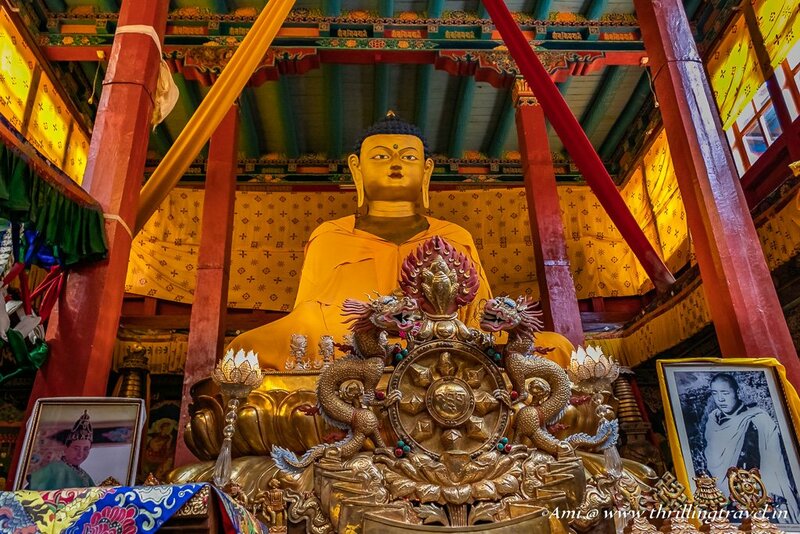 You can combine a visit to the Hemis Monastery with a trip to Pangong Lake or Chang La Pass. 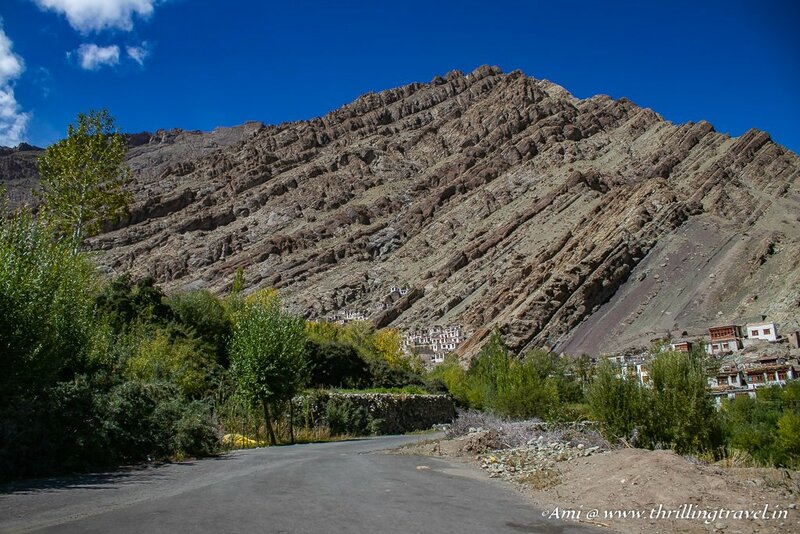 The Monastery falls along the same road and will be a good addition to your Leh Ladakh tour. Read this Ladakh Travel Guide for information regarding how to plan your Ladakh trip. 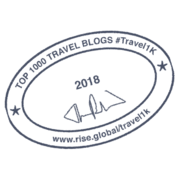 The guide tells you about the various Leh-Ladakh packages, what to wear, how to prepare for AMS and the various permits that you may need. You have mentioned good pictures of Hemis Monastery in Ladakh and I have seen your post for our trip to Ladakh which is nice to see it. I am spellbound with the beauty inside and outside there, very informative with amazing shots. 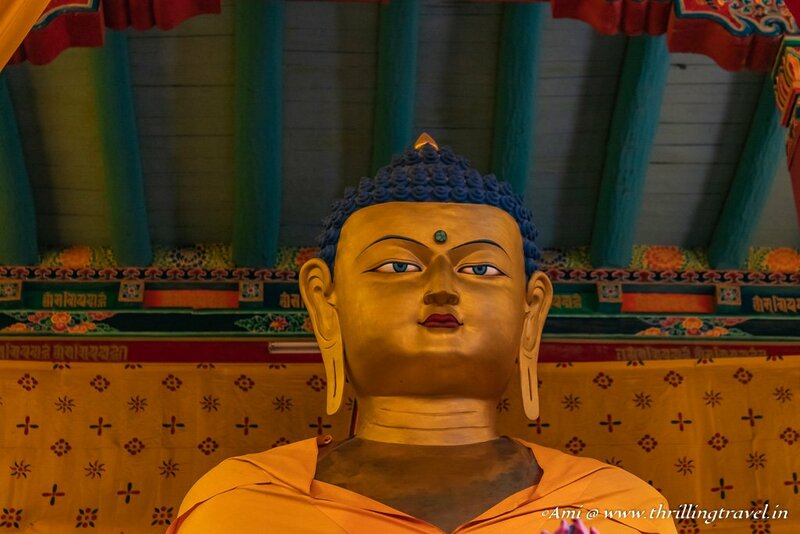 Your pictures show that Ladakh is full of history and culture. Great post Ami! Amazing monastery. So beautiful photos. Really great post! Thanks for sharing such a wonderful trip. The shots are excellent. I love checking out monasteries in mountain regions and this one looks like it has to be explored. This post was a great one to read but I love your colourful photos. Truly amazing. Interesting to know about the plunderers who attacked monasteries and how the Hemis Monastery was the only monastery not attacked. BTW, I love how colorful the structure is and how well-maintained. 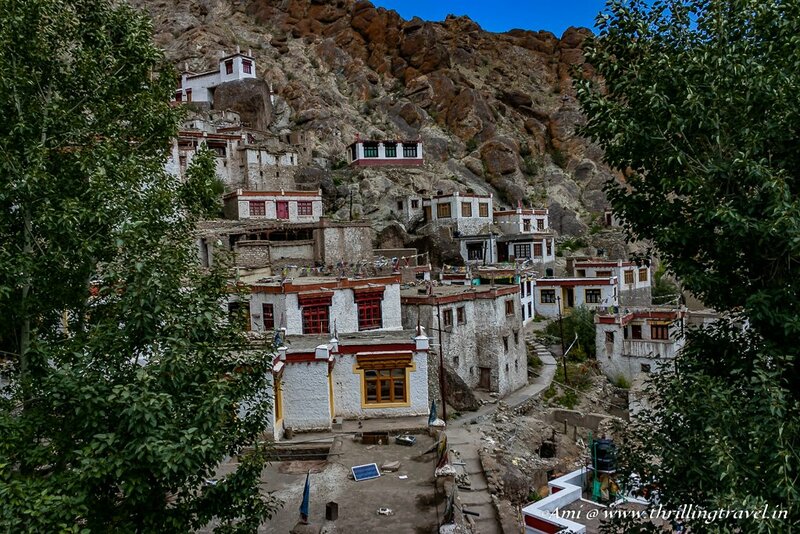 Another monastery that I need to add on my list when I visit Ladakh! I love exploring northern mountainous regions, such as Bhutan and Darjeeling. Ladakh looks like it has many wonderful secrets to reveal. The Hemis Monastery looks rather mysterious. The aura at the Hemis Monastery was so surreal. The ambience of mystic beauty was further heightened by the snowflakes that dropped from the heavens. 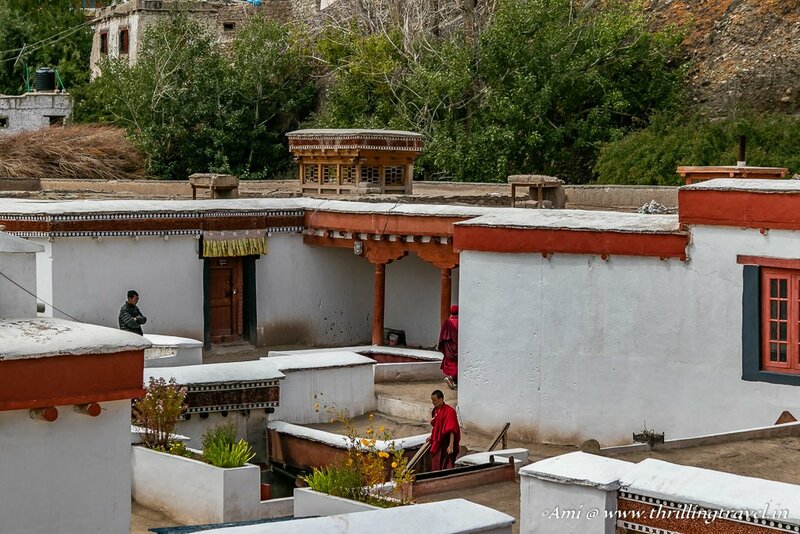 The ancient Hemis Monastery is a place that one needs to visit again and explore at leisure. The Hemis museum especially needs to be visited with lots of time on hand. I am so glad that we took out time to visit this place. It was worth every moment. This looks totally fascinating – all these beautiful decors and bold colors – just mesmerizing. It must be a truly spiritual experience to visit this place – and I can imagine that the snowflakes make the place even more mysterious. I would love to visit a serene place like this. You bet Renata, the snow made it even more mystic. I loved every bit of it. Thanks for the lovely comment. Amazing that this monastery is so old yet never damaged or plundered! I would imagine the Hemis monastery would be one of the best to visit. I love the colorful arches and doorways, and intricate patterns and details. And tell me, what happens to all of the offerings left in front of the Buddhas? Do monks use them? I am not sure of what happens to the offering. I was so mesmerized and stunned by the surroundings that I never thought of asking. Next time I go to a monastery, I will figure that one out. Thanks for stopping by, Tami. I visited Ladakh almost 9 years ago and I remember visiting Hemis Monastery back then. I wasn’t as much of an avid traveller at the time but I fell in love with Ladakh, it’s gorgeous landscapes and people, the lakes and the monasteries. I visited another one but cannot remember the name. 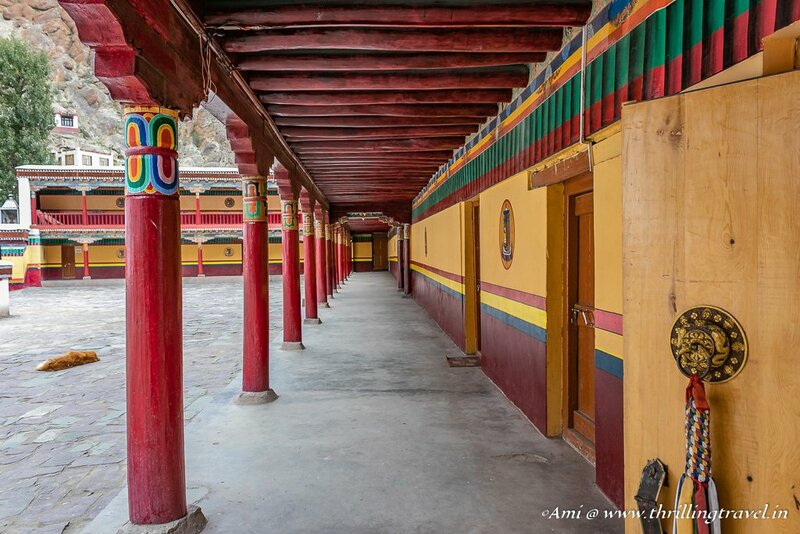 Hemis Monastery is lovely, not only do I love the beautiful, eye-pleasing colours they’re used in the temple but the white walls standing against the brown mountainous backdrop is such a lovely sight! I can see how Ladakh has stolen your heart and you have a deep connection. 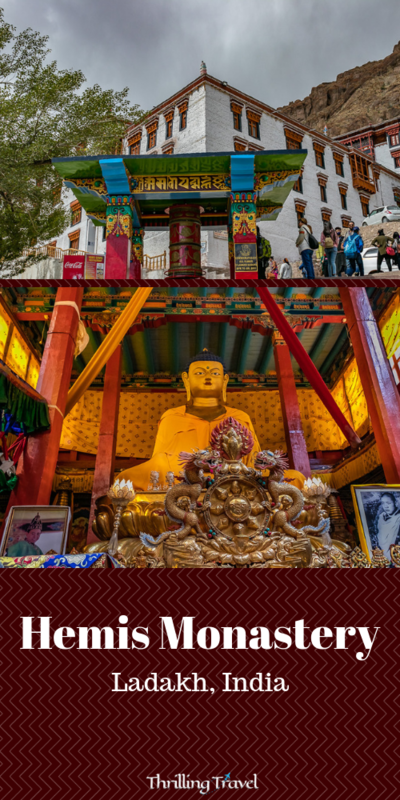 The Naropa Festival seems like a special time to visit and to immerse yourself in the culture. 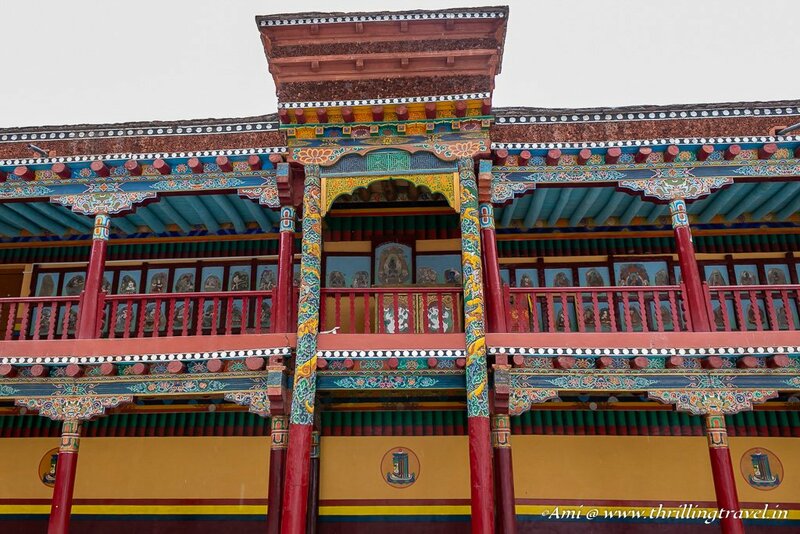 Your photos of Hemis Monastery are beautiful, what a colourful and special place. 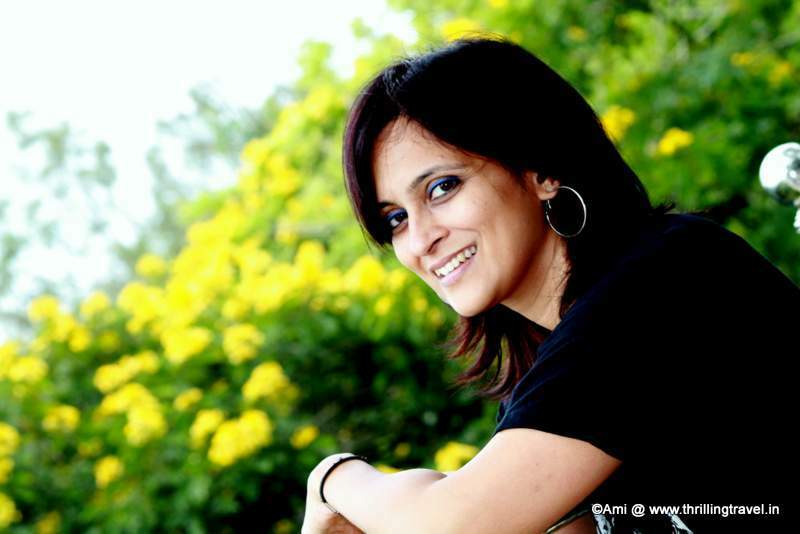 Thank you Kavita. The place is quite special indeed and the festival makes it even more so. Absolutely stunning photos, the colours and landscape are incredible. I’d never heard of this place but now it’s on my bucket list! This is mighty huge! loved the pictures. I was at Spiti recently, though they have monasteries it is not as big is as the one in Ladakh. I need to plan at least next year. 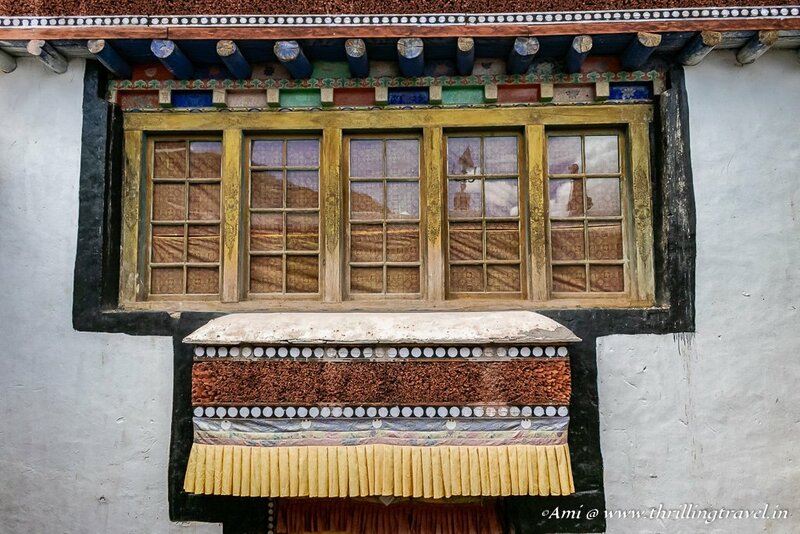 Ami, this post is a visual treat 🙂 Had taken the kids to Hemis Monastery when they were toddlers. It was lovely relieving that holiday through this lovely post. I guess I should now take the kiddos for the colorful two-day Festival of Hemis! Looks Amazing..ladhak is in my bucket list for so long.hope to visit it soon .love all the pics..
very helpful to my thesis work…..Thank you so much.